ZTE Axon M vs ZTE Axon 7: Can ZTE’s foldable phone beat its mid-range classic? ZTE has finally unveiled the long-rumored ZTE Axon M, its new foldable phone that doubles the screen real-estate by adding a second display that folds in. The result? A phone that’s pretty different from devices we’ve seen in the past. Last year’s Axon 7 smartphone is more like a traditional phone, but it was very well-received — we gave it an 8 out of 10 in our review. Despite being a year older, the Axon M still might have a hard time beating it out because it does not feature the flagship specs you see in most 2017 phones. So how do the phones compare? We put them head to head to find out. The ZTE Axon 7 launched last year with top notch specs, and it still manages to do well against the Axon M. Despite the high price tag, the Axon M is powered by Qualcomm’s Snapdragon 821 processor, which is marginally better than the Axon 7’s Snapdragon 820. Both the Qualcomm Snapdragon 821 and Snapdragon 820 are excellent processors, but they have been surpassed by the Snapdragon 835, which can be found on a myriad of flagship Android phones this year. Both phones offer 4GB of RAM, which should be more than enough for most users, and both also offer 64GB of storage, with MicroSD card slots to expand it if you need more space. Still, the Snapdragon 821 is better than the 820, so we’re giving the Axon M the win. Design is perhaps the main point of difference between these two phones, and probably the reason you’ll buy the ZTE Axon M in the first place. After all, it is a totally new look, and one that hasn’t really been tried before by a major manufacturer. 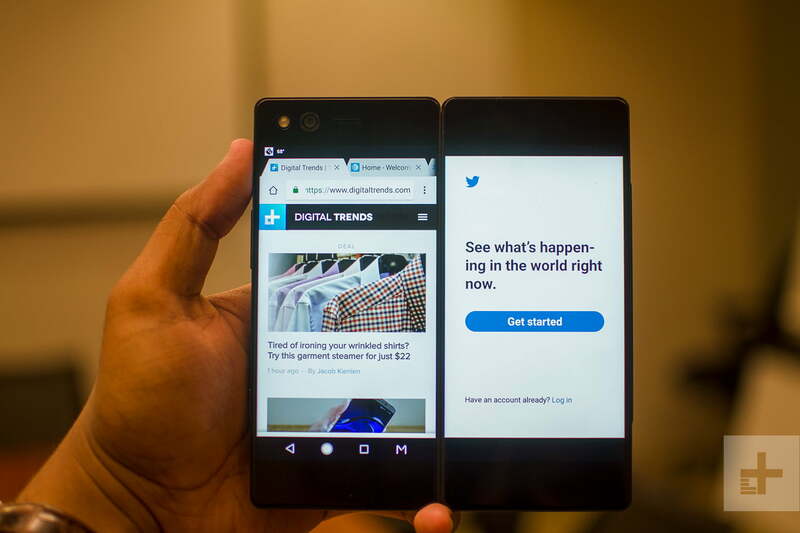 Instead of offering one display, the Axon M looks like two phones glued together side-by-side. It’s not exactly a foldable phone in the way you think — there’s no flexible display. The two screens are attached via a hinge, and you just pull the second screen out from the back when you need it. 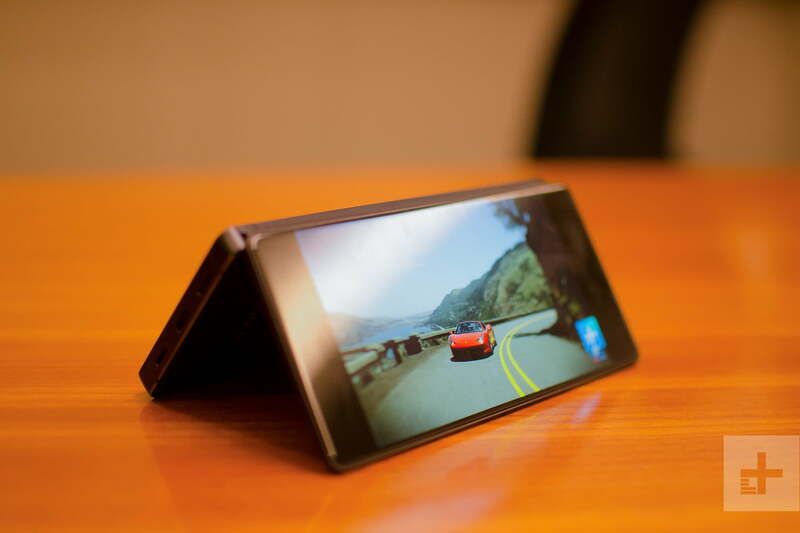 There are different modes you can use to make the Axon M more functional. You could, for example, prop up the phone while watching a video and mirror one screen, so the person sitting across from you can see what you’re seeing. You can also open two different apps at the same time so you can browse Twitter while watching a YouTube video. There’s also a way to extend what you see on one screen to the other for an enlarged viewing experience. Unfortunately, that’s really the only remarkable note about the design. The Axon M is chunky, the screens are flanked by large bezels, one of the speakers is bottom firing, and the back when it’s open is rather industrial. The ZTE Axon 7 looks more like a normal smartphone. It has a rear-mounted fingerprint sensor and camera, a few different color options, and dual front-facing speakers. The design is a little boring by today’s standards, but there’s certainly a little more attention to detail than what you’ll find on the Axon M.
It’s a little hard to compare displays here. The ZTE Axon 7 offers a 5.5-inch AMOLED display with a resolution of 2,560 x 1,440, while the Axon M’s display is 5.2-inches and has a resolution of 1,920 x 1,080 — but there’s two of them. In other words, the Axon 7’s display is better, but the Axon M has more screens you can use. When there’s more screen real-estate, durability often takes a hit. With the Axon M, if you drop the phone, chances are you’ve destroyed one of the two screens. The Axon 7 has a lot less screen space and the back is metal, so it’s a little more durable. Neither are water resistant. Because of the nicer design, better display quality, and better durability, the ZTE Axon 7 is the winner here. The ZTE Axon M will likely have a tough time when it comes to battery life. Why? Well, the battery is pretty small, and it has to power two displays. Now, it’s important to note that on paper the Axon M will last longer — ZTE said it will get 28.7 hours of talk time, while the Axon 7 only gets 24 hours. The Axon M has a battery capacity of 3,180mAh, while the Axon 7’s battery sits in at 3,250mAh. The Axon 7 should last longer than the Axon M in real-world use, even if the Snapdragon 821 is slightly better optimized for battery use. 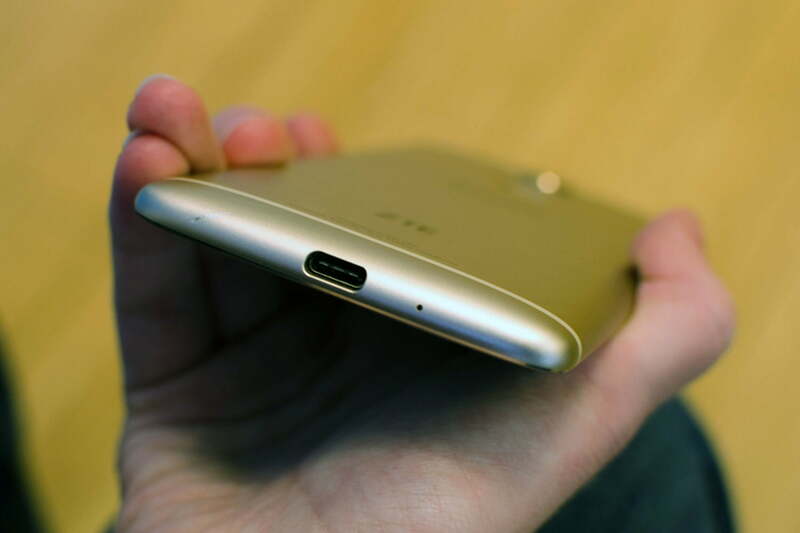 Both phones charge through their USB-C port, and both have Quick Charge 3.0. Because the Axon M has better battery life on paper, we’re going to have to conduct more tests to see how it goes in real-world use. In the meantime, this one’s a tie. 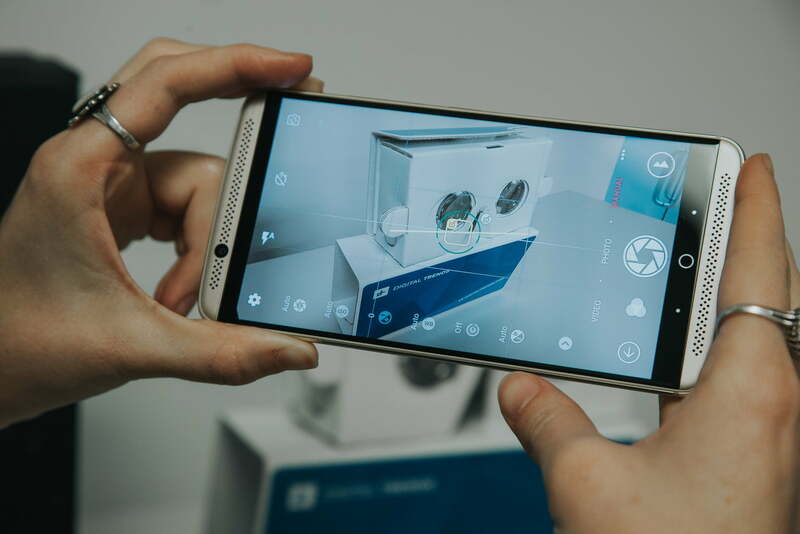 The ZTE Axon 7 and Axon M both have a 20-megapixel camera with an aperture of f/1.8, so we’re expecting them to be pretty similar. The Axon M only has one camera. Launch the camera and it will start up on selfie mode. Flip the phone and it will switch to rear-camera mode, and the second display will become your viewfinder. The Axon 7 has a front-facing camera, but it packs 8-megapixels. This lends the Axon M the win, because you should be able to take much better selfie photos. At launch, the Axon 7 was running Android Marshmallow. It has now been updated to Android 7.1.1 Nougat, which is also what the Axon M runs. ZTE hasn’t been the best in terms of updating its phones in a timely fashion, but the company said the Axon M will get Android 8.0 Oreo at some point, hopefully with the Axon 7. The software on both of these phones offer a relatively stock experience, but ZTE has added some bloatware and extra apps that users may not find all that helpful. On the Axon 7, for example, a “ZTE Rewards” app will serve up some ads and surveys. We weren’t able to dig around too much in the Axon M’s software, but it will come with a boatload of AT&T apps. The ZTE Axon 7 has been available for almost a year and it’s pretty easy to get your hands on. even if no carrier offers it in the U.S. If you want one, you can get it unlocked on Amazon for $460, though Newegg might be a better option, where you can get it for $380. The ZTE Axon M, on the other hand, will be available on a carrier — AT&T. At launch it will be AT&T-exclusive, so you’ll either have to be on AT&T or willing to switch over to the carrier. There’s no word yet whether the phone will be available unlocked or not, but it will come in at $725 outright or $24.17 per month for 30 months — which is quite a lot more than the Axon 7. That makes the Axon 7 the winner here. The ZTE Axon M is a very interesting device, and some will find the unique design and double-display compelling. For those just looking for a decent phone for their day-to-day needs, the Axon 7 is probably a better choice. It’s more durable and has a better display, and it’s a whole lot cheaper. Sure, the Axon M is slightly more powerful, but those power improvements are small, and they come at a serious cost.